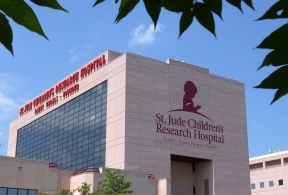 Domino’s Pizza raised a record high amount of donations for St. Jude Children’s Research Hospital during the 10th annual St. Jude Thanks and Giving campaign last year, bringing the total amount raised in 2013 to $4 million. After this year’s campaign, the recognized world leader in pizza delivery has now raised more than $20 million for St. Jude since the partnership was announced in 2004. “I want to thank our customers, team members and franchise owners who worked hard and contributed during the campaign. Together we were able to raise money to support the lifesaving work of St. Jude, benefiting children all around the world,” Domino’s Pizza President and Chief Executive Officer Patrick Doyle said. Domino’s customers could donate to St. Jude by ordering the St. Jude Meal Deal – a bundle that included a medium one-topping pizza, a one-topping Handmade Pan Pizza, a 16-piece order of Parmesan Bread Bites, a two-liter bottle of Coca-Cola® and a $1 donation to St. Jude – for $19.99. Customers could also add donations to their orders when ordering over the phone, in stores or online at www.dominos.com. The St. Jude Thanks and Giving® campaign, created in 2004 by Marlo Thomas and her siblings Terre and Tony, children of St. Jude founder Danny Thomas. Funds raised during this campaign impact the lives of children in communities across the world, as St. Jude openly shares research discoveries directly with doctors and scientists everywhere.